When you think to visit outstation with your family or friends group during holiday, weekend or any special occasion, you should book a convenient vehicle for a comfortable journey. 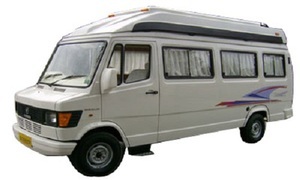 We personally suggest you to book our Tempo Traveller on Rent in Delhi for any outstation trip in North India. Our all Tempo Traveller are new in condition and well modified by PKN Company. If you want to book online our Tempo Traveller, just visit our website and submit an enquiry form according your Travel plan. You can drop a mail or make a phone call also. Our representatives will provide you best Package for your outstation trip.